The immune response to viruses varies from person to person. 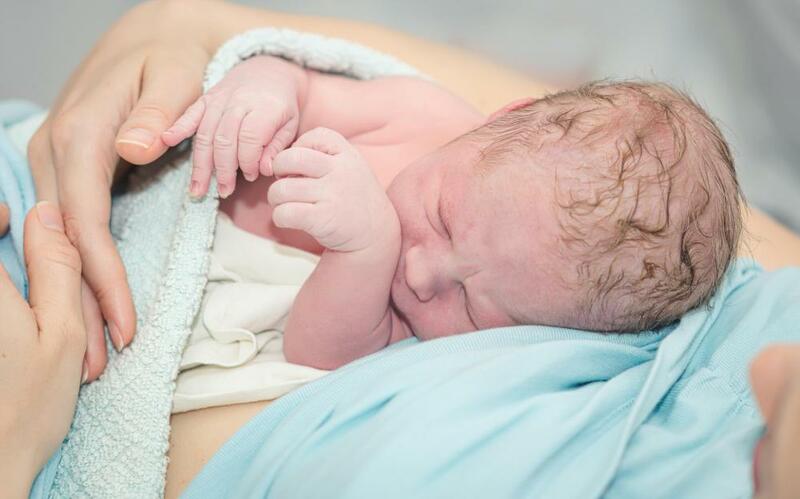 Innate immunity is one component of immune response that will be present at birth. 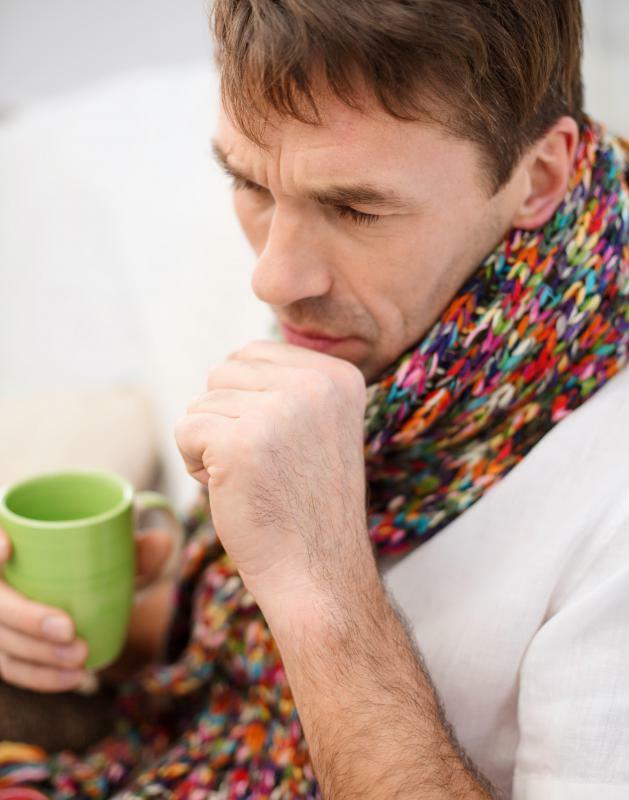 A person with a compromised immune system is susceptible to influenza and other communicable infections. 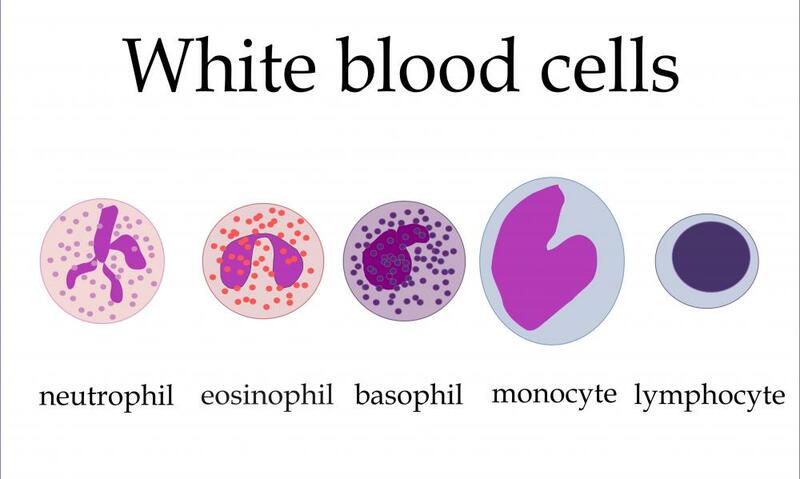 Lymphocytes are a type of white blood cell produced by the immune system. One important role of lymphocytes is the production of antibodies, and these plasma cells enter the circulation system, ready to attach to antigens. Stimulation of the immune response can be achieved using vaccines, such as those against influenza. 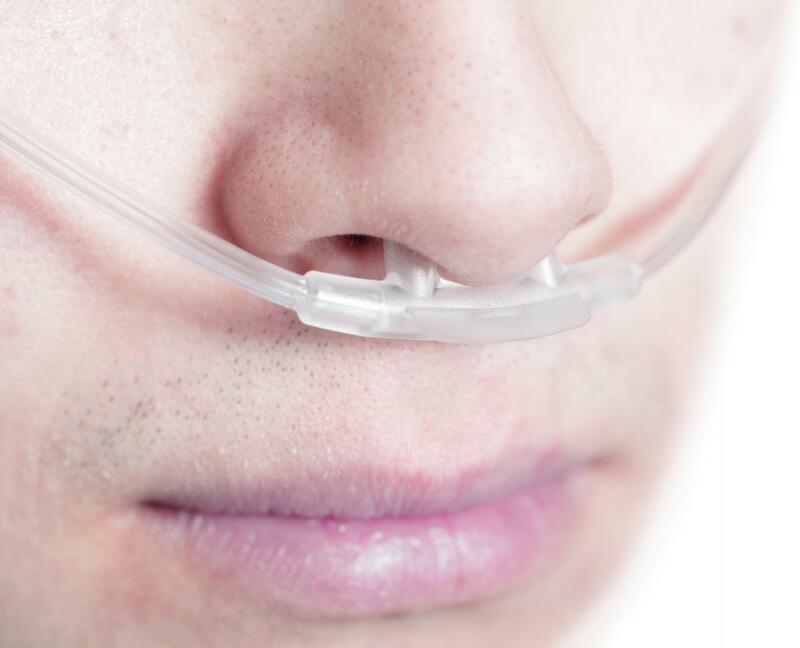 Oxygen therapy may be administered to boost a patient's immune system. The immune response is the mechanism the body uses to protect itself against infection and disease. Humans are surrounded by viruses, bacteria, and other pathogens, and survival depends on having a system to fight off infection. A person with a healthy immune system is protected by several lines of defense that include physical barriers, cells that secrete proteins to destroy pathogens, and cells that ingest pathogens. One component of the immune system that is usually present at birth is referred to as innate immunity. This line of defense refers to protection provided by the physical barriers of the skin, mucus membranes, and cilia. Stomach acid and enzymes present in tears also protect the body against infection. Specialized cells in tissues of the body, known as macrophages, participate in the immune response by engulfing foreign particles such as bacteria. 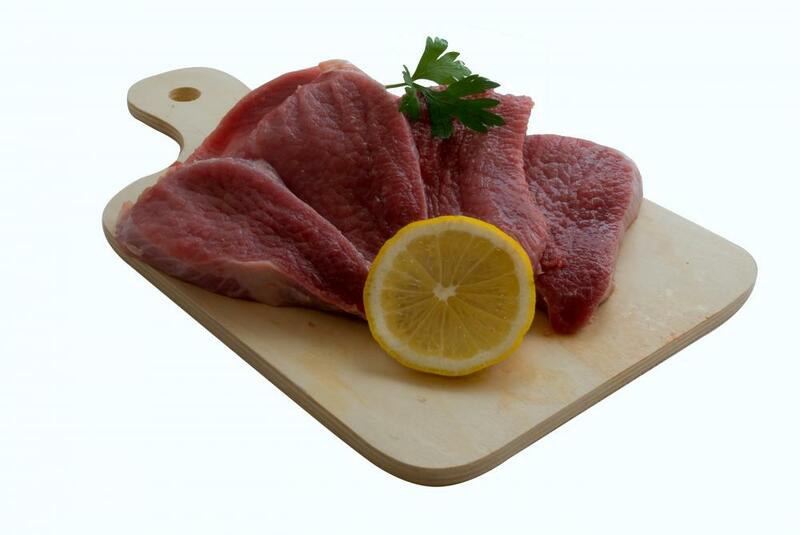 Acquired immunity is another component of the immune system. This refers to immunity that a person develops after he or she is exposed to a pathogen. Pathogens, or proteins that can cause an immune response, are called antigens. Antigens can bind to cells in the body known as lymphocytes. 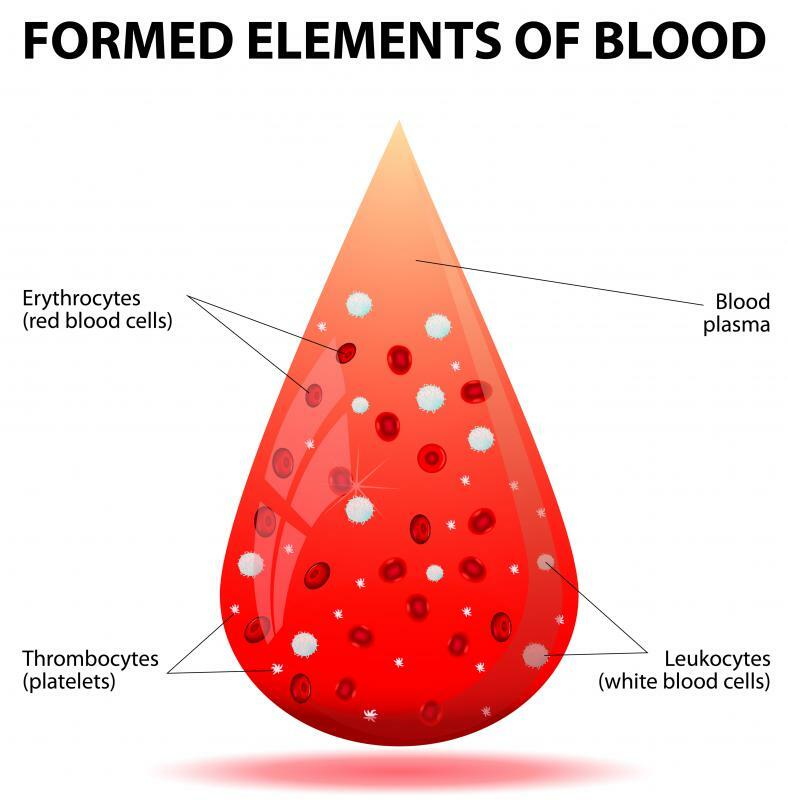 One type of lymphocyte, known as the B-lymphocyte, develops and matures in the bone marrow. When a foreign antigen invades the body, it binds to the surface of the B-lymphocyte. The B-cell then begins to divide and secrete another protein, known as an antibody. 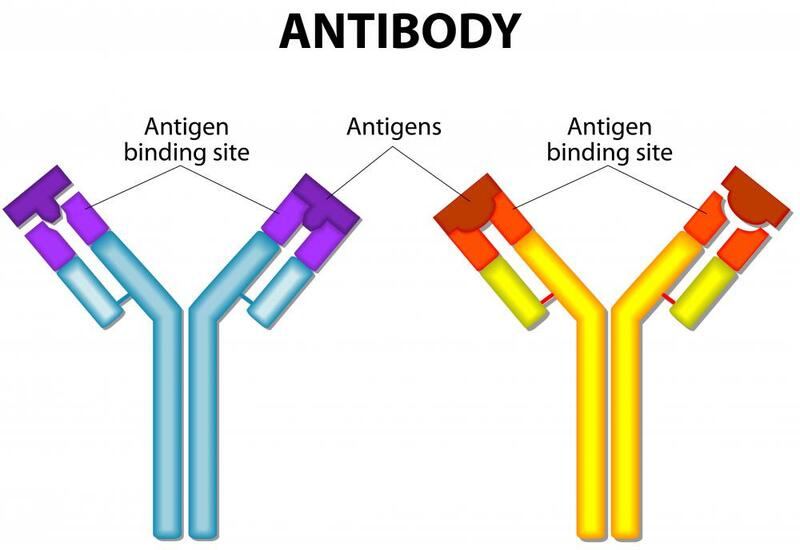 This secreted antibody can bind to foreign antigens, such as bacteria or viruses, and neutralize them. Antibody secretion by B-lymphocytes is referred to as the humoral immune response. T-lymphocytes, which are different from B-lymphocytes, are part of the cellular immune response. These lymphocytes are also produced in the bone marrow and they then migrate to the thymus where they become mature T-cells. On the surface of the T-cell is an antigen-binding molecule known as the T-cell receptor. The T-cell can bind antigen, but it must be in the presence of a complex of proteins on the cells of the host, called the major histocompatibility complex. T-lymphocytes are mainly involved in the response to altered cells of the host, as in those infected by a virus or those that develop into cancer cells. Some T-cells secrete proteins called cytokines that activate B-cells and macrophages, allowing many of the cells of the immune system to work together. Stimulation of the immune response can be done using vaccines, such as those against measles, mumps, or influenza. These vaccines are made up of weakened or inactivated viral particles that activate cells of the body and protect the host from disease. What Is a Pattern Recognition Receptor? What Are the Immune System's Lines of Defense? Overproduction of mucus is a really quick immune response that I get as soon as I develop a cold. It seems that once I feel a tiny tinge of a sore throat, the mucus starts to overflow. I know that it is supposed to be capturing the things that are making me sick, but it is just way too much for me. I have to blow my nose constantly, and soon, the flow becomes so heavy that I give up and just stick tissue in my nostrils to soak it up. Last time this happened, the tissue got soaked through in only fifteen minutes. 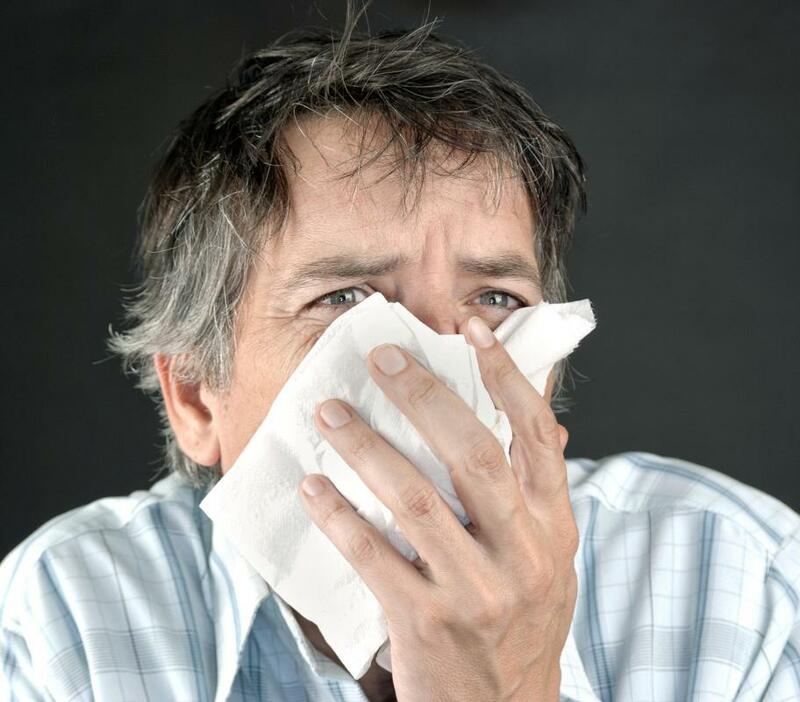 I appreciate the mucus when I've encountered a bunch of dust or some kind of irritant, because it helps me sneeze the dust out or cough it up. However, I can't feel the virus leaving my system when I have a cold, so I just can't fully appreciate what the mucus is trying to do. @Perdido – Yes, I think that the people who become ill after receiving a flu shot must have already been infected with either the flu virus or the virus that causes a cold. However, I have heard of one virus immune response that is common among people getting the flu vaccine. Their arm gets really sore at the site where the shot was injected. The nurse who gave me my first flu shot told me that the soreness is just an indication that your immune system is working against the dead virus, which is good, because this means it is starting to build antibodies. I feel the soreness every time I get the shot, but at least I know that it is a good thing. I would probably be more worried if I did not feel sore. One immune response that is bothersome is the swelling of lymph nodes. Sometimes, when I have a bacterial throat infection, the nodes on the sides of my neck and right underneath my jaw swell. They become tender to the touch. I know that my body is fighting off the infection, but the swollen areas make me feel even more miserable than I was when I first got sick. I know that swollen lymph nodes can be an indication of something serious and deadly, so I always see my doctor if they swell. My aunt's nodes in her underarms swelled up once, and she found out she had cancer. We take advantage of the acquired immunity offered by vaccinations. I get a flu shot every year, and pieces of dead flu virus are injected into me so that I can become immune to the living version. I know that the viruses are dead, but some people have reported getting the flu right after getting the vaccine. I really think this must be because they were about to get sick anyway, because how could a dead virus infect you? I am glad that my body has a good immune response to the flu vaccine. I don't know if this is related, but every year that I get a flu shot, I go an entire season without getting so much as a cold. During winters that I haven't gotten the shot, I have gotten sick multiple times, so I believe the vaccine offers immunity against more than just the flu.